Whitianga is a town on the Coromandel Peninsula, in the Waikato Region of New Zealand's North Island. On the 5th (Sun), witness a stunning natural landmark at The Lost Spring and then stroll through Hot Water Beach. To see ratings, photos, maps, and other tourist information, read our Whitianga driving holiday planning app . Barcelona, Spain to Whitianga is an approximately 36-hour flight. The time zone difference moving from Central European Time to New Zealand Standard Time is 11 hours. Traveling from Barcelona in August, things will get much colder in Whitianga: highs are around 17°C and lows about 9°C. Finish up your sightseeing early on the 5th (Sun) so you can go by car to Rotorua. On the 6th (Mon), witness a stunning natural landmark at Orakei Korako Cave & Thermal Park, take in the natural beauty of Waimangu Volcanic Valley, then trot along with a tour on horseback, and finally identify plant and animal life at Redwoods Treewalk. Here are some ideas for day two: relax and rejuvenate at Hells Gate, then look for all kinds of wild species at Paradise Valley Springs Wildlife Park, and then identify plant and animal life at Rainbow Springs Nature Park. For other places to visit, reviews, more things to do, and other tourist information, read Rotorua tour itinerary planning website . Traveling by car from Whitianga to Rotorua takes 3 hours. Alternatively, you can do a combination of flight and bus; or take a bus. Expect a daytime high around 17°C in August, and nighttime lows around 7°C. Finish your sightseeing early on the 8th (Wed) so you can drive to Tongariro National Park. Kick off your visit on the 8th (Wed): get impressive views of Mt Ruapehu, take in the dramatic scenery at Tawhai Falls, then hike along Whakapapa Nature Walk, and finally admire the sheer force of Mangawhero Falls. 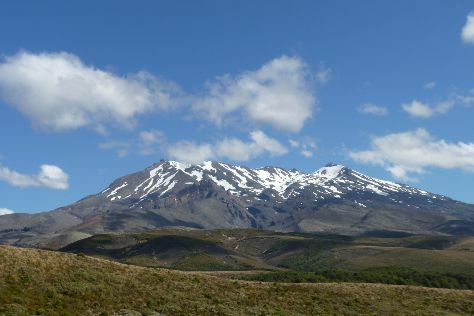 Plan a Tongariro National Park trip in moments using our itinerary builder. You can drive from Rotorua to Tongariro National Park in 3 hours. Alternatively, you can do a combination of bus and car. Finish your sightseeing early on the 9th (Thu) so you can drive to Wellington. Start off your visit on the 9th (Thu): steep yourself in history at Old St Paul's and then tour the pleasant surroundings at Oriental Bay. 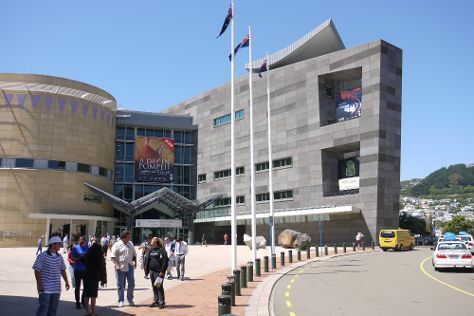 Keep things going the next day: identify plant and animal life at ZEALANDIA Sanctuary, take an in-depth tour of The Great War Exhibition, and then see the interesting displays at Museum of New Zealand Te Papa Tongarewa. To find reviews, photos, ratings, and other tourist information, refer to the Wellington journey maker site . Getting from Tongariro National Park to Wellington by car takes about 4.5 hours. Other options: do a combination of taxi and bus; or do a combination of taxi and train. Expect a daytime high around 15°C in August, and nighttime lows around 9°C. Wrap up your sightseeing on the 10th (Fri) to allow time to travel back home.